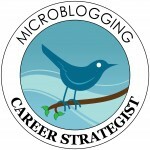 The Microblogging Career Strategist Program will reveal revolutionary social media strategies to shift your job-search clients from being "the hunter" to "the hunted." It will position you as a cutting-edge career provider! And it will add an important new revenue stream to your business. Classes are held weekly from 1-2:15 p.m. for six weeks. Learn how Twitter is dramatically changing the ways that companies find and identify talent . . . and how jobseekers are landing jobs in an 8-to-1 jobseekers-to-jobs market. Overcome potential objections to Twitter (time, technology, confidentiality, etc.) and learn the secrets others have used to leverage Twitter to land offers! Leverage time on Twitter, with a time-table to get up-and-running, and then a routine to get in, get out, and get great exposure in the process. Master fundamentals if you’re new to Twitterundefinedfrom building a presence to expanding your own community of colleagues and potential clients. Uncover Twitter tools to be the first to hear about job openingsundefinedcustomized to interest/locationundefineddelivered to mobile phones or in-boxes. Find and connect with previously inaccessible company insiders, recruiters, and other influential networking contacts. Understand the SEO power of Twitter for job seekers, including why the Library of Congress is now archiving tweets! The program is taught via teleseminar/webinar for 75 minutes once a week for six weeks. Total class hours are 7.5 hours. The six-week program allows you the time and framework to assimilate, practice, and execute the new systems, strategies, and communication styles you are learning. Instructors: The course will be taught by co-authors of the top-selling book, The Twitter Job Search Guide -- Susan Whitcomb and Chandlee Bryan. The program will be held on Mondays, beginning June 10, 2013, from 1 to 2:15 p.m. Eastern time. The cost is $897 (installment payment plan of two payments of $477 each is also available).